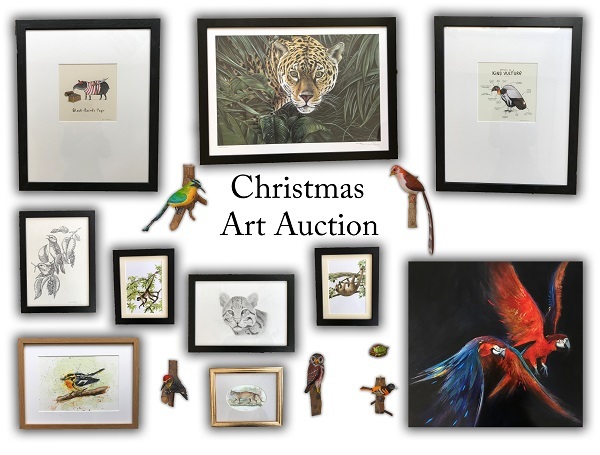 WLT’s online Christmas Art Auction is open for bids for donated pieces of artwork inspired by the Treasure Chest Appeal, fundraising to protect threatened rainforest habitat in Guatemala. 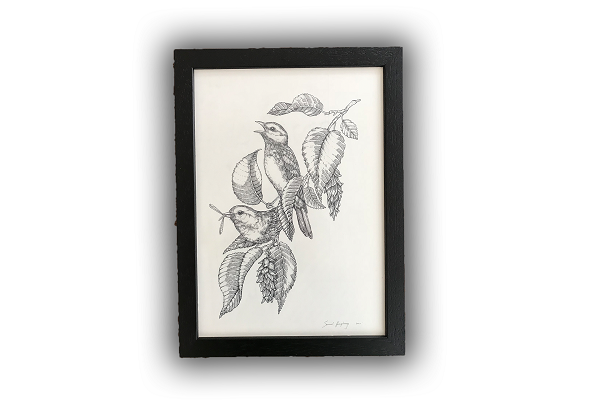 Each exclusive piece features a species whose habitat will be protected by the Sierra Santa Cruz reserve. 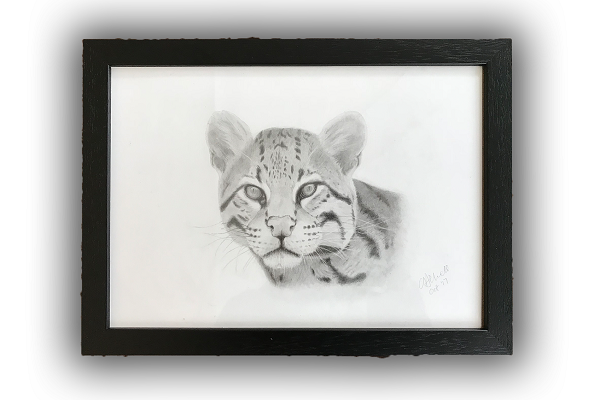 Several pieces were commissioned especially for the appeal, and will make wonderful, unique Christmas gifts for wildlife-lovers who want to make a difference. Update: This auction ended 12 December 2017. WLT would like to thank all the artists who donated pieces and supporters who bid on items, more than £1,500 was raised for the Treasure Chest Appeal. Christine Howell is a graphite artist with a talent for manipulating light, shadow and textures to create intricate drawings of humans and animals which capture character and exquisite detail. Baird's Tapir (Tapirus bairdii) is one of the threatened species living in Sierra Santa Cruz, classified as Endangered on the IUCN Red List due to habitat destruction and hunting. 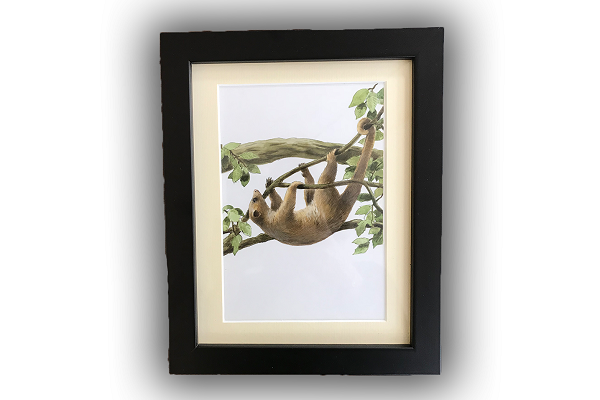 The proceeds from this donated artwork will be donated to the Treasure Chest Appeal to help protect this species' habitat in Caribbean Guatemala. Sophie Corrigan is a freelance illustrator specialising in cute and funny pictures of animals, often using puns and wordplay. 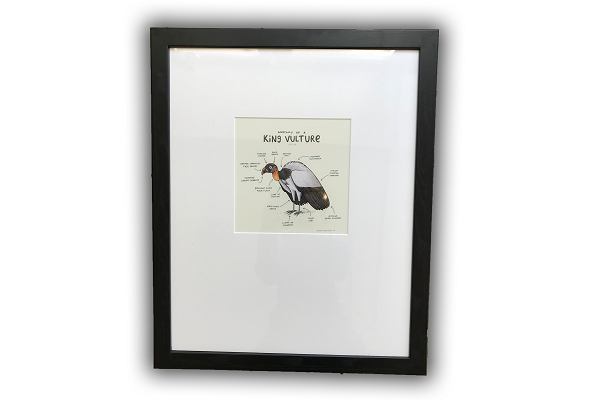 The King Vulture (Sarcoramphus papa) is a remarkable looking New World vulture found in Central and South America, described by American naturalist William Bartram as the ‘painted vulture’. 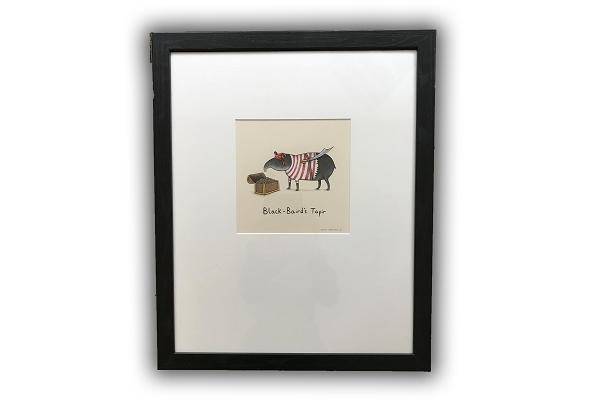 Sophie’s ‘Anatomy of’ series have been immensely popular, depicting and annotating the unknown characteristics of animals including hedgehogs, squirrels, chickens and giraffes, and this is an exclusive print especially created for the Wild Treasure Chest collection. Jaguars (Panthera onca) are the largest cat of the Americas and the only living species of Panthera found in the New World. Despite having a large range across Central and South America, they are still classified as Near Threatened by the IUCN Red List and the high rates of deforestation in Latin America is one of the biggest threats. 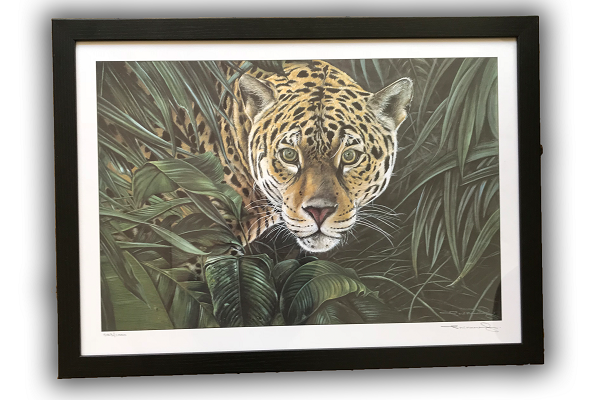 Terry McManus spent nine years working for Jaguar Cars Ltd, during which time he visited Belize to study and paint wildlife, particularly Jaguars. He has been inspired to use his art to protect the natural world and inspire others to do so, most recently in the publication of his children’s book Rosa’s Story. Biologist and sculptor Jess Smith has created this miniature sculpture to help save the only known habitat of the Critically Endangered Chinamococh Stream Frog. 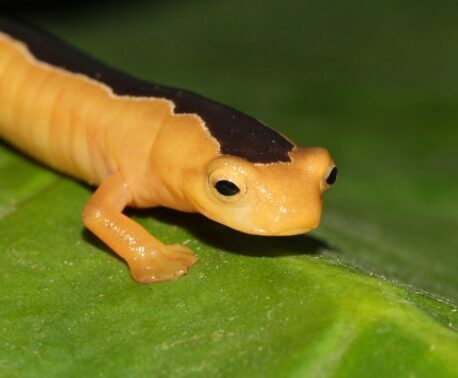 The latin name of this Critically Endangered frog species, Ptychohyla sanctaecrucis, is named after Sierra Santa Cruz, the only mountain range in the world where this species has been found. They are active at night close by mountain streams, and can be identified by their call, which has been described as a ‘soft, stuttering “wrack”’. The Golden-cheeked Warbler (Setophaga chrysoparia) breeds in the juniper forests of Texas in the United States, where it remains before migrating with other songbirds to Central America for winter. 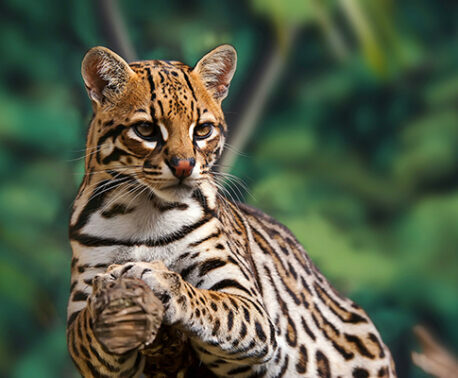 However, both its breeding habitat in Texas and migratory habitat in Central America have been declining in size and quality due to deforestation and development. Samuel Humphreys’ precise illustrative style has created quite a following in his native country of Australia. He is inspired by his wanderings in the natural world, creating detailed portraits of animals, plants and habitats. 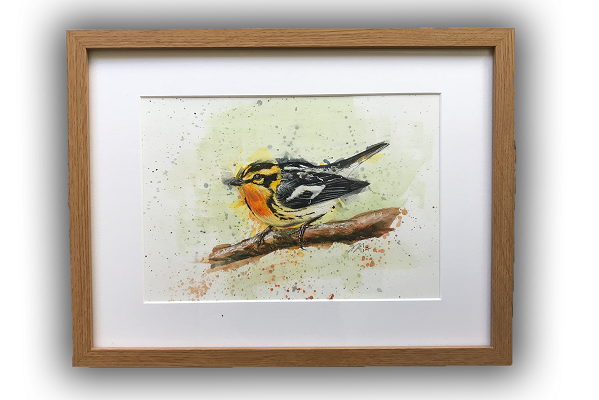 This stunning watercolour of a Blackburnian Warbler was created by artistic talent within the WLT office. 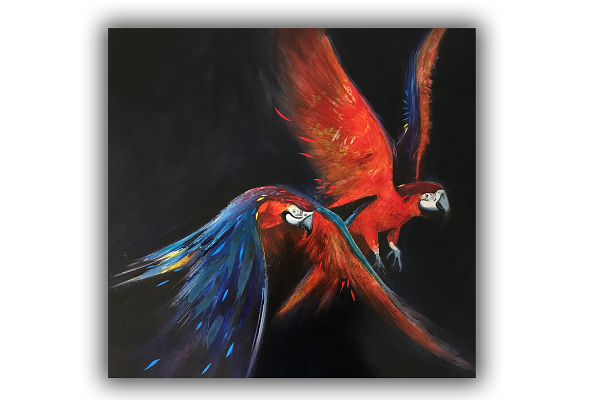 Co-Director of Communications and Development Dan Bradbury was inspired to paint this striking passerine by his visit to the Sierra Santa Cruz project in Caribbean Guatemala last year. The Blackburnian Warbler (Setophaga fusca) is a brightly coloured passerine which migrates from North America to Central and South America to winter in tropical montane forests like Sierra Santa Cruz. The Scarlet Macaw (Ara macao) is a highly recognisable and charismatic species found in Latin America which has suffered local extinction from habitat loss and declines due to capture for the pet trade. However, this beautiful, multi-coloured species is still fairly common in certain parts of its range. Glyn Macey is a Cornwall-based artist inspired by the natural world and its wild landscapes for his work using acrylic, mixed media and mark making techniques. His technique combines colour, paint and textures from relevant sources, such as the blue feathers in this painting. The Kinkajou (Potos flavus) is an arboreal, nocturnal mammal also known as the ‘honey bear’ (a name it shares with the Sun Bear) for its habit of raiding bee’s nests. They have a prehensile tail which is used like a fifth limb in its canopy habitat as it is strong enough to hang from and is used to help it balance on tree branches. Bruce Pearson is a well-travelled painter and printmaker who has worked on a wide range of natural history books, magazines and journals as well as writing, directing and presenting television programmes such as Channel 4’s Birdscape series. 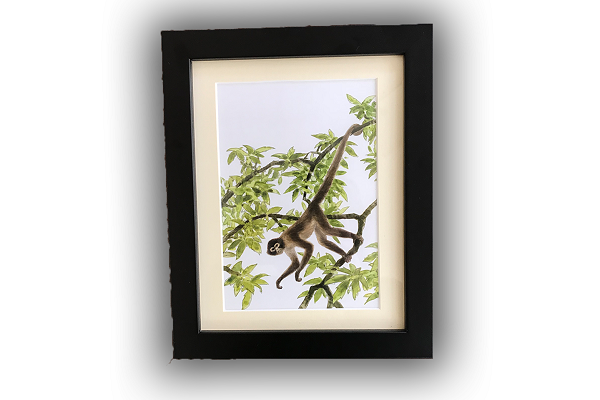 Another donated piece by Bruce Pearson is this image, also painted as part of a commission for an illustrated natural history guide, of the Endangered Geoffroy’s Spider Monkey. The Geoffroy’s Spider Monkey (Ateles geoffroyi), also known as the Black-handed Spider Monkey, is an endangered species found in Central America. So much of its natural habitat across this range has been lost that it is estimated that the species may have declined as much as 50 per cent over the past three generations (45 years). 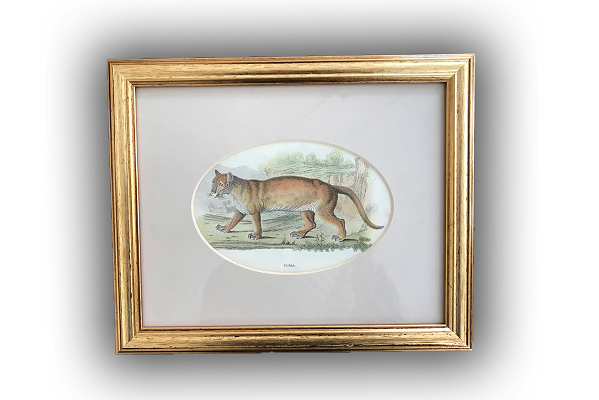 This framed chromolithograph from the 1890s, depicting a Puma in its natural habitat, would make a thoughtful Christmas gift for any wildlife art lover. The Puma (Puma concolor) is also known as the Cougar and Mountain Lion and it is an adaptable species found in most American habitat types, though rarely seen due to its secretive, solitary nature. 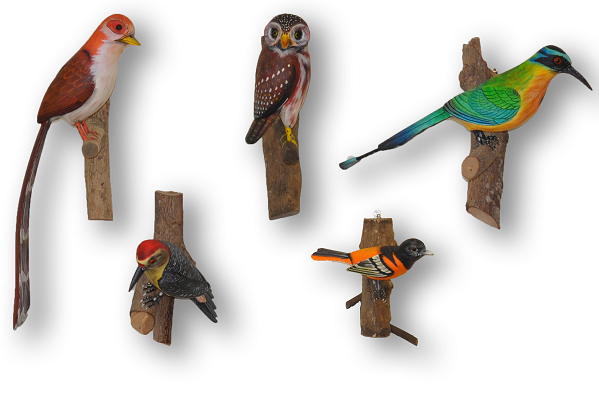 Guatemalan artist Carlos Humberto Lopez Chile uses local birds as inspiration for his hand-crafted ornaments he creates, carving and painting each one himself so each bird is unique. In the Wild Treasure Chest Collection we have a Squirrel Cuckoo, Golden-fronted Woodpecker, Pygmy Owl, Baltimore Oriole and Blue-Diademed Motmot.